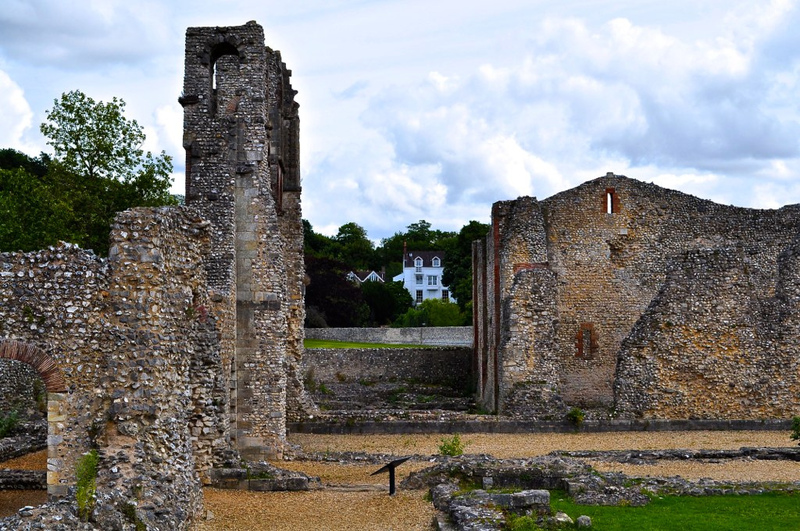 If you have the time when you are in Winchester, pop around the back of the cathedral along College Street and take the trail to see the regal remains of what was once the domicile of the most powerful Bishops in the land: The Bishops of Winchester. 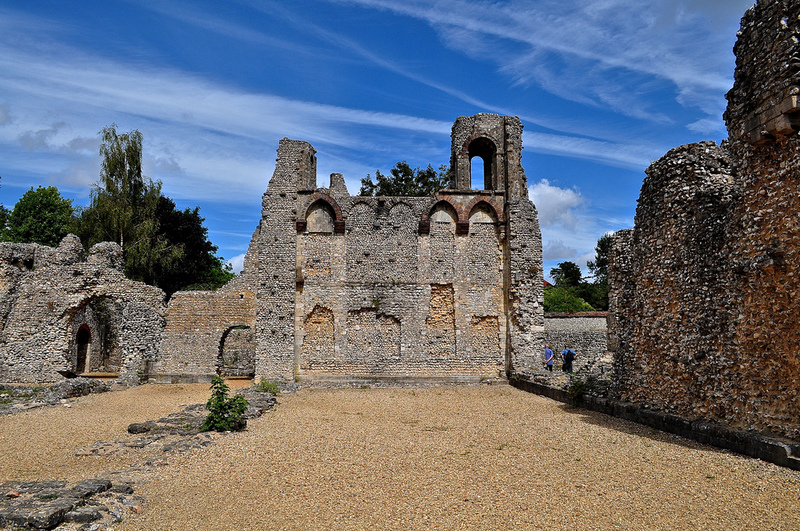 The Bishop of Winchester once lived as part of the community of monks who served the cathedral church. However, by the 10th century, the increasingly public role of the bishop meant that an enclosed monastery life was impractical, thus a private residence was built. Built as a palace, fortified into a castle during the time of anarchy with the civil war between King Stephen and his sister, Matilda, the remains we see today are largely the work of Henry of Blois, dating from the 12th century. He was brother to Stephen and nephew to King Henry I. By being the papal legate, he was officially the most important church official in the kingdom. 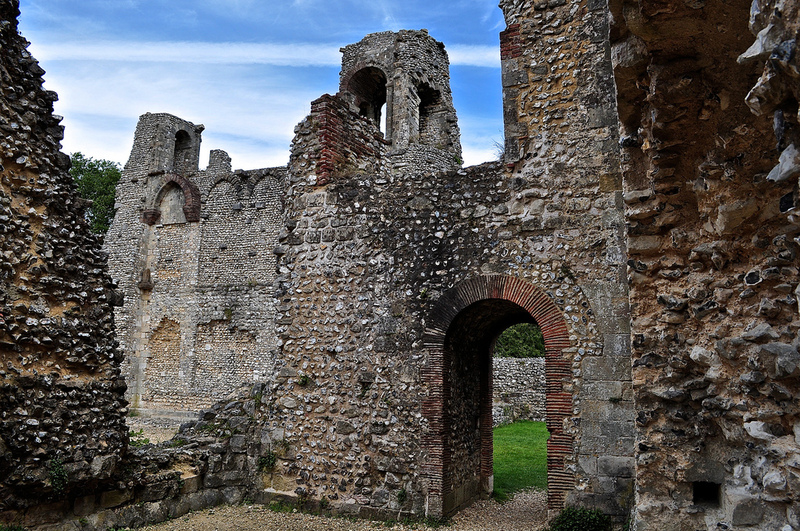 Wolvesey Castle was just one of several residences used by the powerful and wealthy Bishops of Winchester over 900 years – for they tended to travel between their vast estates (located from Somerset to London) or the royal court. 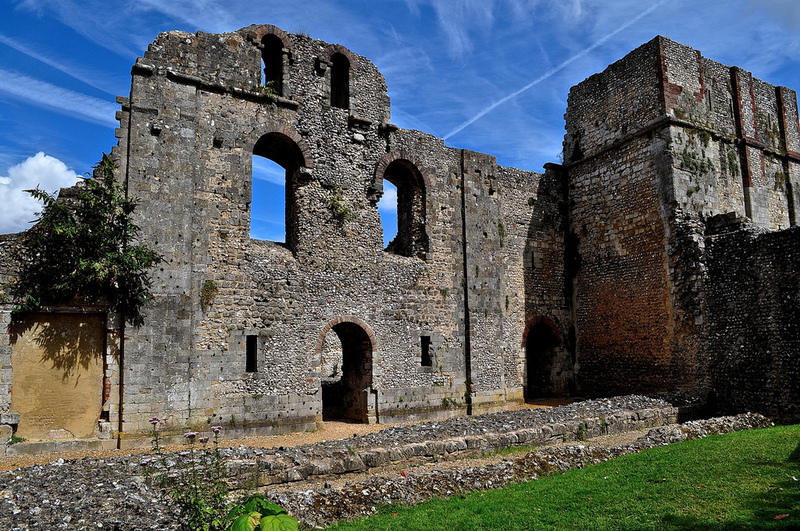 Close by Wolvesey, you can see the remaining wing of a baroque house built around the 1680’s to replace the old palace. This is where the present Bishop of Winchester still has his private residence. The various information signs provided by English Heritage give you a good idea of what the palace originally looked like. You can easily appreciate the vastness of the old palace and the powerful influence it must have once wealded, with royalty and courtiers regularly visiting. Even Queen Mary and King Philip of Spain held their wedding breakfast here. 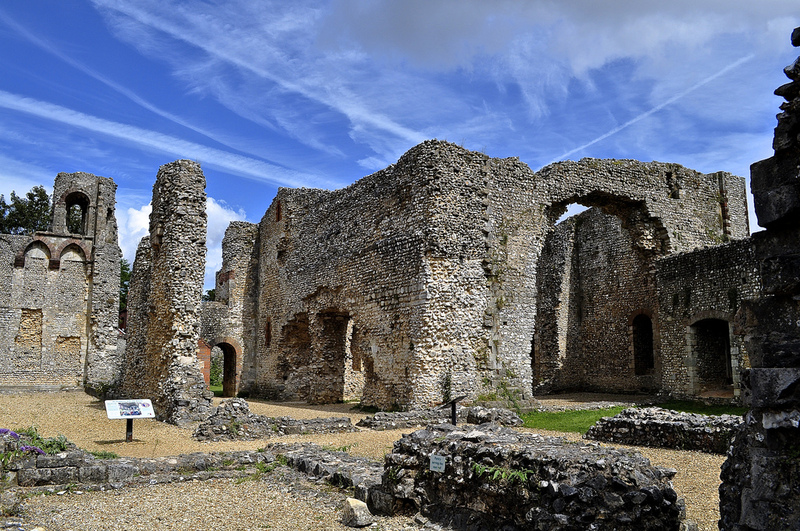 Wolvesey Castle is managed by English Heritage and is free to visit. Current hours are between 10.00 – 17.00. 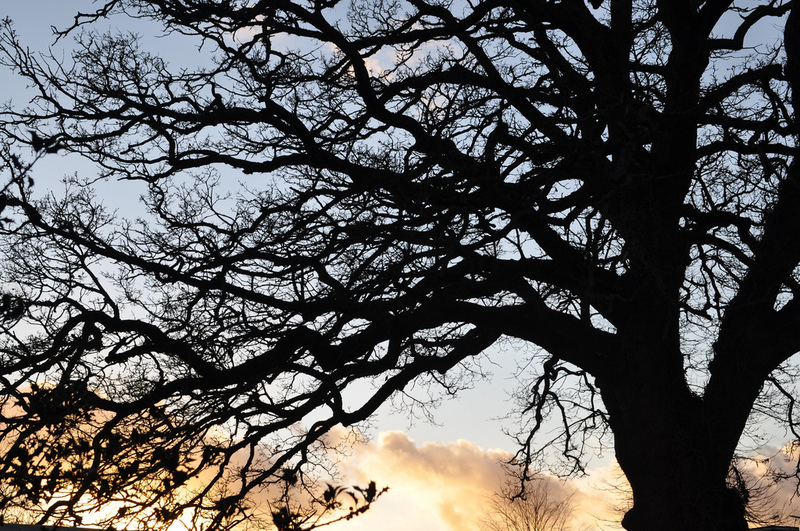 Follow English Heritage on Twitter: @EnglishHeritage and on Facebook/English Heritage. They also have Google+ and YouTube channels. For more about Winchester, follow @King_Alf on twitter and on Facebook/KingAlfWinchester.